If you’re an ECPI University student looking for a comfortable, fun environment to hang out after class or order appetizers and a drink, Lynnwood Grill & Brewing Concern is the place to go. Located in the Grove Barton Shopping Center, our staff loves getting to know our customers from ECPI, and we want you to make LBC your regular spot. We offer weekly specials and keep our prices fair so you can keep coming back to try our specialty pizza, sandwiches, desserts and unique microbrews. Lynnwood Brewing Concern’s craft beer has won national awards, so you’ll want to try every IPA, amber, stout and other brew we create. 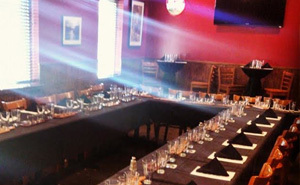 With our full event calendar, there’s never a dull moment at Lynnwood Grill & Brewing Concern. Test your knowledge at our trivia night, cheer on your favorite team or dress up for our annual Halloween party. Experience our brewery near ECPI for yourself, and contact us at (919) 785-0043 with your questions or to order takeout. 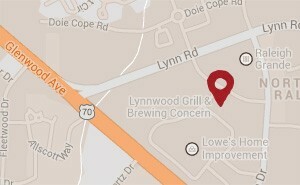 Lynnwood Grill & Brewing Concern proudly serves students of ECPI University with our craft beer, specialty pizza, affordable appetizers and fun events.